France and Netherlands are the favorites of securing the top 2 qualifying spots but Sweden has managed to surprise the world and have collected 16 points from their 8 opening matches. The Swedish national side has 2 qualifying matches remaining as the team of Janne Anderson has to face off with Luxembourg and Netherlands on October 7 and 10 respectively, if Sweden is able to collect a victory over Netherlands then they are ensured the 2nd qualifying position. France is currently positioned at the top spot with 17 points while Sweden is following them closely behind with 16 points and Netherlands has collected 13. Considering that only 2 qualifying matches are left, if Sweden is able to overcome Netherlands, they would have secured their ticket to a play-off round and qualify for a tournament that Sweden has not been able to do in over 10 years. 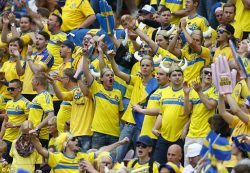 For a national side that recently lost their star player, being able to qualify for the upcoming World Cup is a surprising and impressive thing to accomplish but Sweden is on the verge of making it happen.